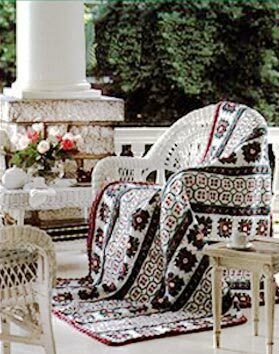 Granny square panels and embroidered single crochet panels are combined to make this beautiful tradition afghan. Approximate size: 52" x 66"
9/I, 8/H and 7/G or sizes needed to obtain required gauge Large-eyed, blunt-tipped tapestry needle for embroidery. Each square measures 5-1/4" using size 9/I hook. 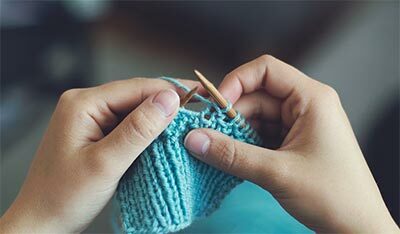 In single crochet: 15 stitches = 4" and 4 rows = 1". 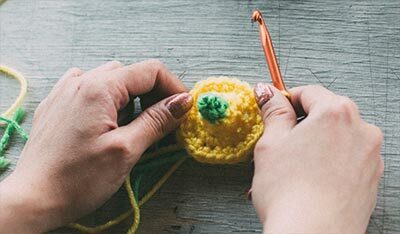 Basic Square (make 48): With size 9/I hook and Light Yellow, chain (ch) 3, slip stitch to beginning chain to join and form ring. Round 1: Ch 1, 8 single crochet (sc) in ring, slip stitch in first ch-1 to join. Fasten off. Round 2: With Light Maroon, attach yarn to a single crochet with ch 1, work 1 sc, 1 double crochet (dc) in same sc, * work (1 dc, 1 sc) in next sc ** work (sc, 1 dc) in next sc, repeat from * around ending last repeat at **, slip stitch to join as before. 16 stitches. Fasten off. Round 3: With Rose, attach yarn in first sc of previous round with ch 1, work 1 sc in same sc, * work (1 sc, 1 dc) in next dc, work (1 dc, 1 sc) in next dc, work 1 sc in next sc, chain 1 **, sc in next sc, repeat from * around ending last repeat at **, slip stitch to join as before. Fasten off. Round 4: With Greyish Green, attach yarn with ch 3 in a ch-1 space--this counts as 1 dc, work 3 more dc in this space, * ch 1, 3 dc in next dc, ch 3, 3 dc in next dc--corner made, ch1 **, 4 dc in next ch-1 space, repeat from * around ending last repeat at **, slip stitch to top of beginning ch-3 to join. Fasten off. Round 5: With White, attach yarn with ch 3 in corner ch-3 space, work (2 dc, ch 3, 3 dc) in same ch-3 corner space, * ( ch 1, 3 dc in next ch-1 space) twice, ch 1 **, work (3 dc, ch 3, 3 dc) in next ch-3 corner space, repeat from * around ending last repeat at **, slip stitch to top of beginning ch-3 to join. Fasten off. Make 12 squares per row, then sew squares together to; make 4 strips. With size 8/H hook, Greyish Green and right side facing, work in sc along edge of granny square row, working 19 sc per square--there will be 228 sc. ***Ch 1, turn. Work 2 more rows sc with Greyish Green--there are now a total of 3 sc rows and Wrong side is facing. Bud Row: Sc in first 5 sc; * draw up a loop in next stitch, drop Greyish Green with Light Maroon yarn over and draw up a loop to complete the sc, then yarn over and draw up a loop in next stitch, drop Light Maroon, insert hook in same stitch and draw up a loop with Light Yellow keeping yarn on wrong side of work, then yarn over and draw up another loop in same stitch, drop Light Yellow, with Light Maroon yarn over and draw up loop in same stitch, drop Light maroon--there are 3 Light Maroon loops, 3 Light Yellow Loops and 2 Light Maroon loops on hook, with Greyish Green draw a loop through all 8 loops on hook, work 1 sc in each of next 4 sc carrying Light Maroon and Light Yellow on wrong side of work, repeat from * across ending with 5 sc instead of 4. 37 Buds. Ch 1, turn. With Right Side of work facing, attach White on right edge of sc. Work across 228 stitches in sc. Ch 1, turn. Continue in sc with White for a total of 23 rows. Fasten off. With Right Side of work facing, attach Greyish Green on right edge of sc and work in sc across row, then continue work from *** to ***. Work this sc panel along 2 remaining strips of squares.Work cross-stitch embroidery on White sc sections as per chart beginning at Row 1, repeating Rows 4-13 and ending with Rows 14-17.Work 4 lazy daisy petals with Rose around buds on Greyish Green strips. Whipstitch 3 strips together as per photo, holding wrong sides together (Right Side facing) and carefully matching stitch for stitch along side of squares and sc, whipstitch last strip of squares to outside edge of Greyish Green. With size 8/H hook and Rose with Right Side facing, work 1 row sc around entire outside edge of afghan, working 3 sc in corners and slip stitch to join, ch 1, turn. Work 1 row sc with Wrong Side facing, again working 3 sc in corners and slip stitch to join at end chain 1, DO NOT TURN. With size 7 hook, working in BACK LOOP ONLY and still working on Wrong Side of afghan, sc in first stitch, work ( skip 1 sc, work 5 dc in next stitch, skip 1 stitch, sc in next stitch) evenly spaced around, slip stitch to join. Fasten off. With size 7 hook, Light Maroon and Right Side facing, attach yarn in remaining loop of a sc, work 1 round dc, working 3 dc in corners. Ch 1, turn. Work Shell Stitch Edging as before but working in both loops of sc. Fasten off.